If you're trying to bring connectedness to the enterprise, it's good to have an overview of what your stack needs. Here is an end to end view of how to build connected products using an enterprise IoT stack. 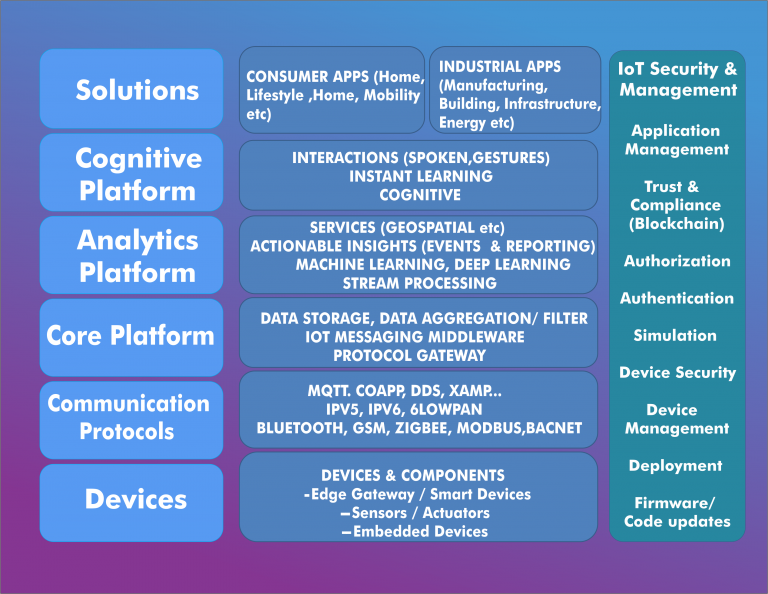 The enterprise IoT stack provides a core set of capabilities, platform, services and architecture patterns to build end to end connected products. The following table summarizes the offerings from commercial players and open source alternatives.